As I mentioned on my last post, Bloggers United 3 is super memorable and up to now I’m still kilig to the nth level. But why? What happened? The night before BU3, I was stuck in C5 traffic. Since I got so much time to kill, I started daydreaming of what could happen “tomorrow” at the event. 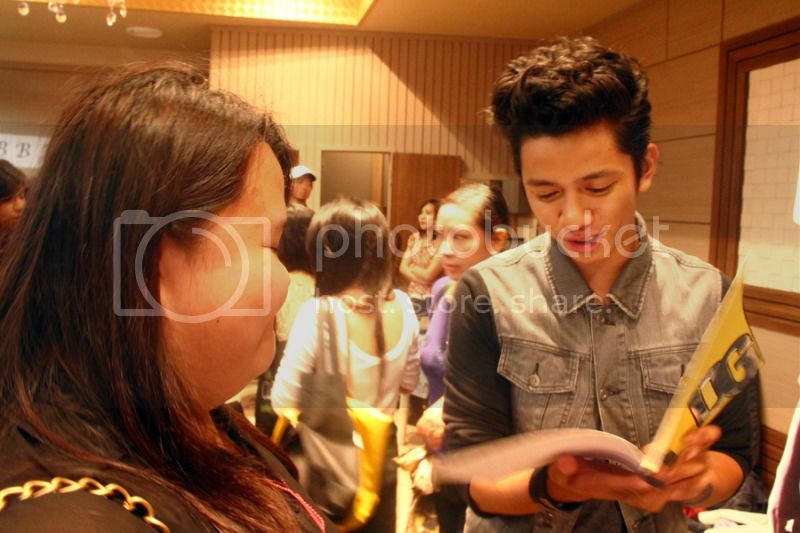 What strucked me the most is that I’ll be meeting David Guison again! Back to the story. After all the daydreaming, I thought of giving him a letter to show my appreciation for his hard work. 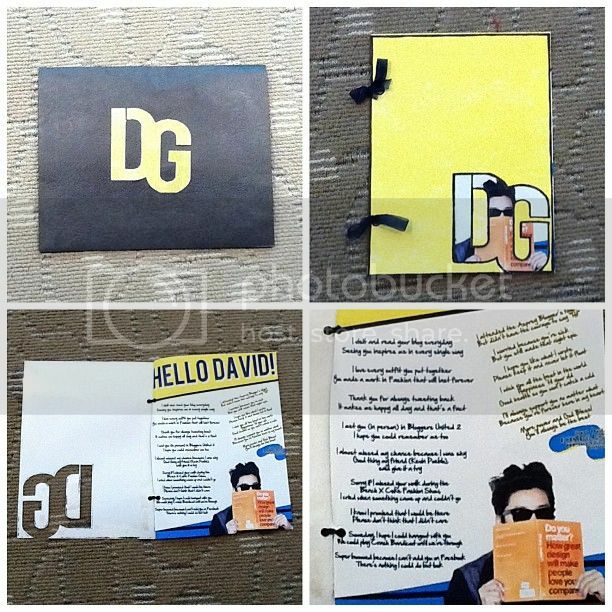 I was already conceptualizing on the content of my letter ’til I thought of a much better idea. TADA! I made my letter extra special by making all the words rhyme at the end of each phrase. So yeah, It’s basically a poem. HAHA! I put together this letter while I was at work (The day of BU3). Good thing though because I finished early with my pending projects in the office. When I arrived at BU3, my heart was pounding so hard. I was super bummed when I didn’t saw him in his booth. I also heard that he already left. 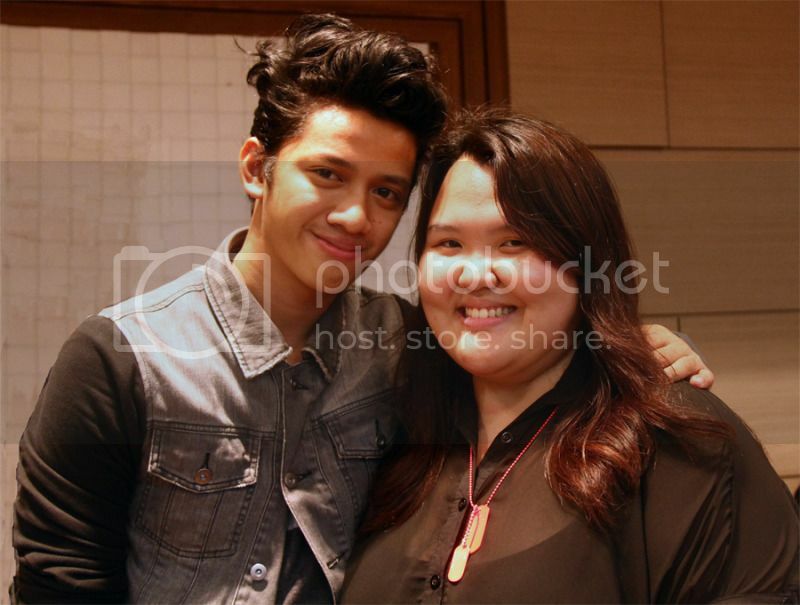 I remained calm and just walked inside the venue until … I saw him! Sobrang nahiya akong lumapit. Good thing because my friends, RJ, Tin and Kido, went with me to his booth. Tin even gave a short introduction. Haha! Thanks ulit Tin! 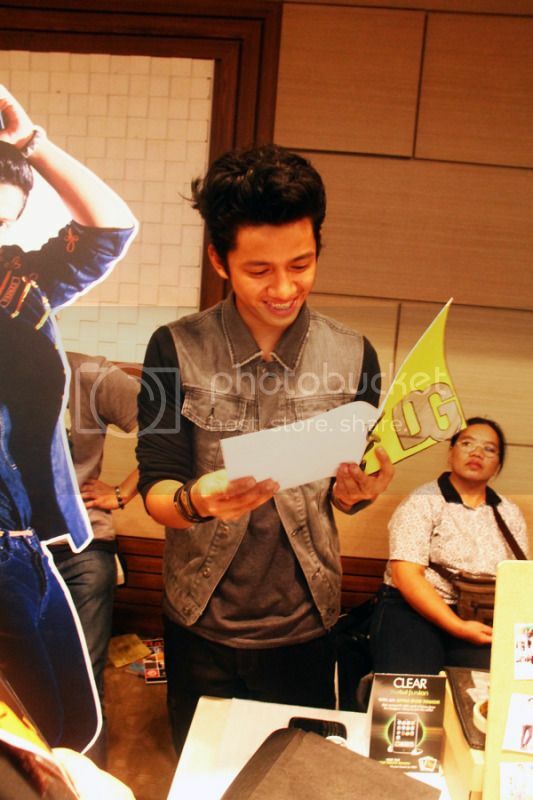 Kilig to the bones when he smiled and laughed while reading my letter/poem! David: ‘Di mo na nga ako tini-tweet eh. Me: Uy, hindi ah. Nagti-tweet ako lagi kaso hindi mo nakikita. Thank you for the hugs! 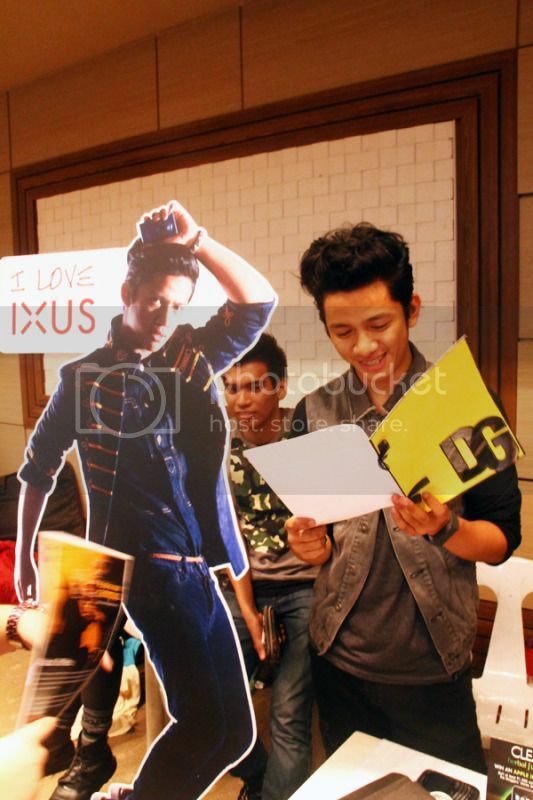 I hope you liked my letter and sana itago mo siya. If you’re feeling down, basahin mo lang yun. Feeling ko maG-GV ka ulit.